This is for a very sweet, christian, loving family. 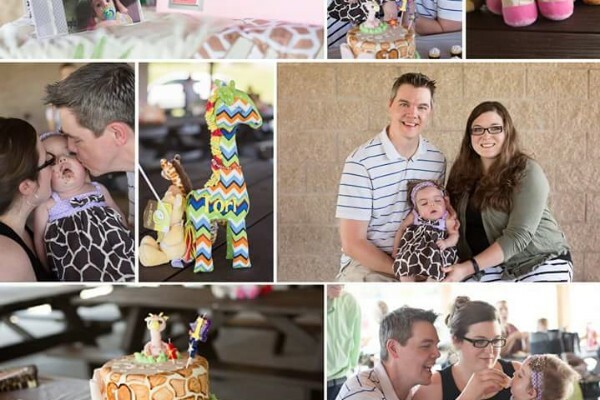 Their names are Lesa, Brennan and their sweet baby, Victoria. 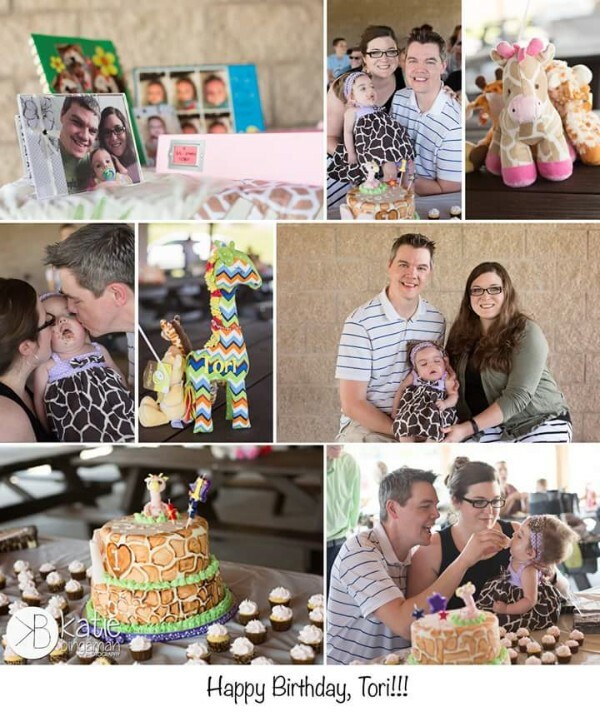 Approximately 6 weeks ago, Lesa and Brennan noticed that their little, precious baby girl was not herself. She wasn't able to keep anything in her stomach and her disposition was changing as far as her not smiling, not making any sounds other than crying, and Lesa and Brennan couldn't tell if she was in any pain or not. 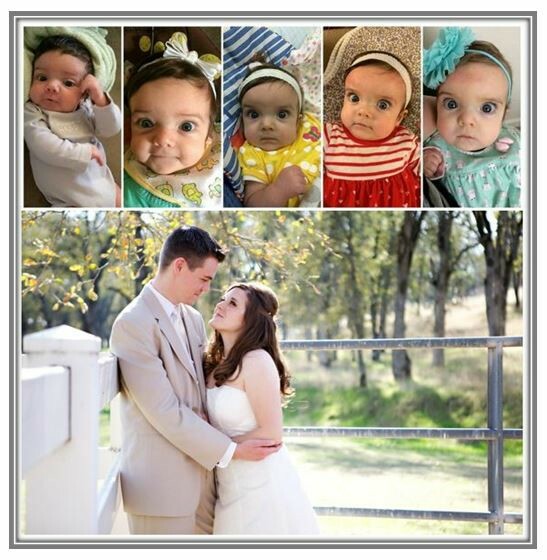 It seemed as though her milestones that she reached during her first 6 months of life had changed and /or regressed. Lesa made an appt with the Dr and they proceeded to tell them that Tori had acid reflux. They prescribed medications for her reflux, but over a period of time, they were not working anymore. So this caused Lesa to call the Dr again because she wasn't eating. They instructed Lesa and Brennan to take her to the emergency room. When they arrived there, they did a cat scan of Tori's brain and told Lesa and Brennan that there were "brain abnormalities". 3 days later, Tori had an MRI of her brain. 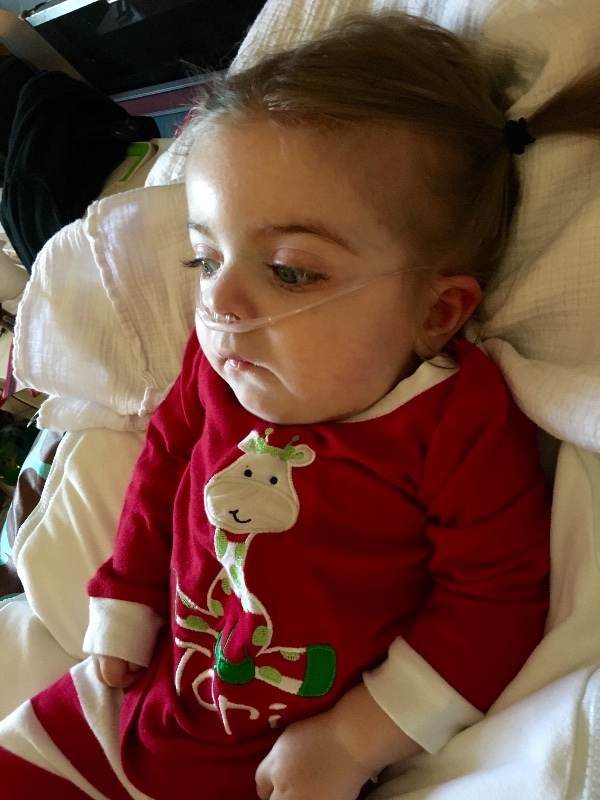 Lesa and Brennan were told that she has a metabolic disorder and that further testing would need to be done. The Dr said that she would need bloodwork. Lesa and Brennan went to a neurologist for further insight on the MRI results. 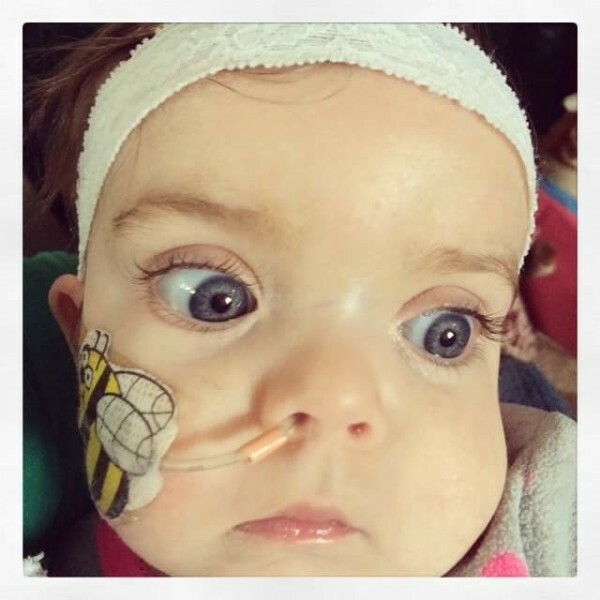 It was then that they received devastating news that Tori has leukodystrophy. Her little brain has shrunk and there is fluid in the middle. They proceeded to show the MRI to them and explained to them what is happening. They may also be told not to have anymore children as this could be genetic. Lesa and Brennan figured out before they had Tori that Lesa would be able to be a stay at home mom, but of course they weren't anticipating this kind of devastation. With Brennan being the only one who is working, this is the very last thing they should have to worry about. With the stress of not knowing what the future holds for them and their precious gift from God. 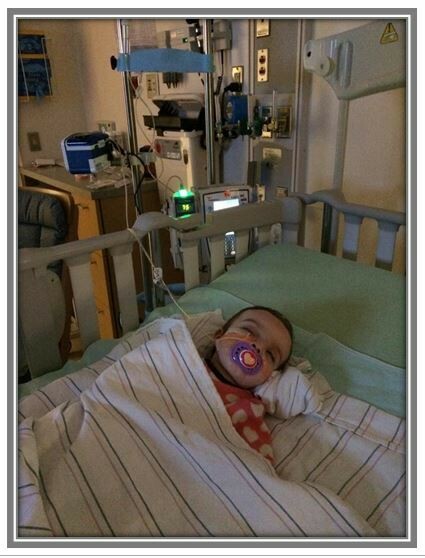 Medical costs, costs for them to live, as Brennan will miss work because of having to help care for his baby girl. They are already in a situation with medical bills. Any support that we can raise for this beautiful family, would be very much appreciated. Tori is currently in the hospital with an IV and feeding tube. These costs are going to add up quickly as well as what Lesa and Brennan will need to just live on. Please pray and ask direction from our ever so loving God if you are meant to help this family. There is alot of uncertainty about what the future holds for this family. If you can't give to this cause financially, please pray for them on a daily basis. 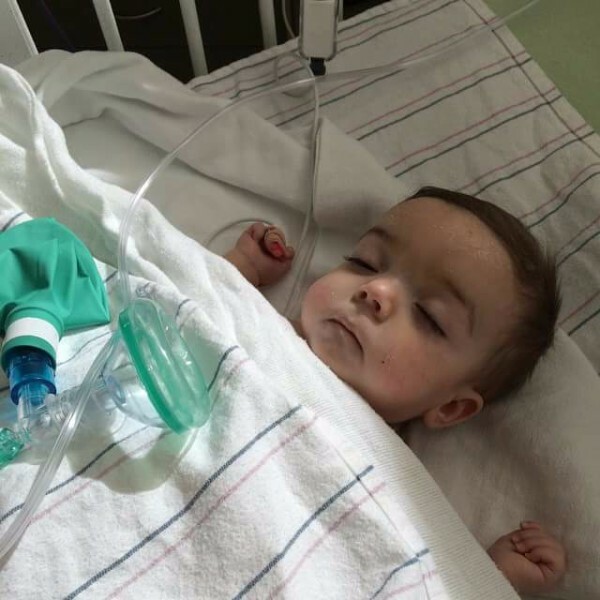 This beautiful baby needs a miracle from God. And we know that this is very possible. Thank you for your support!! As most of all of you know, our beautiful Baby girl, Tori, has gone to be with Jesus. On behalf of Lesa and Brennan, I would like to say thank you to everyone who has donated to this great cause. 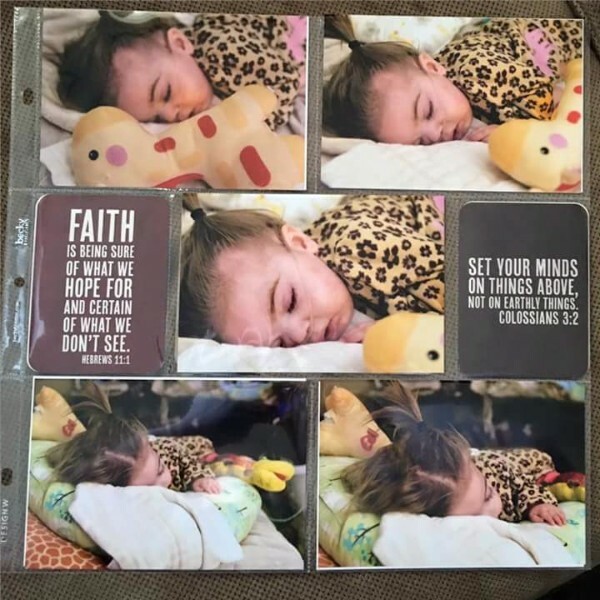 Because of all the generosity and love that has been given to this wonderful and loving family, they were able to pay the medical costs that insurance didn't cover, they were able to do many things with their sweet little Angel, and spend lots of quality time with her as a family. As this is a sad time because Tori is no longer with us, it is also a joyous time just knowing that she is healed, and got to see Jesus face to face. Please keep Lesa and Brennan in your prayers for continued strength to get through this grieving process and the moments when they just simply miss Tori. As his word says, Weeping endures for a night, and joy comes in the morning. Make sure to tell Lesa and Brennan that you are thinking about them and praying for them, just by simply saying hello to them or send them a smile! Let's keep Tori's legacy alive and fight for Krabbe Leukodystrophy to be MANDATORY to be tested for at birth! Again, thank you for all the donations that have been given, as they were for a very good cause, and truly helped this wonderful family. Thank you all for your love and generosity! 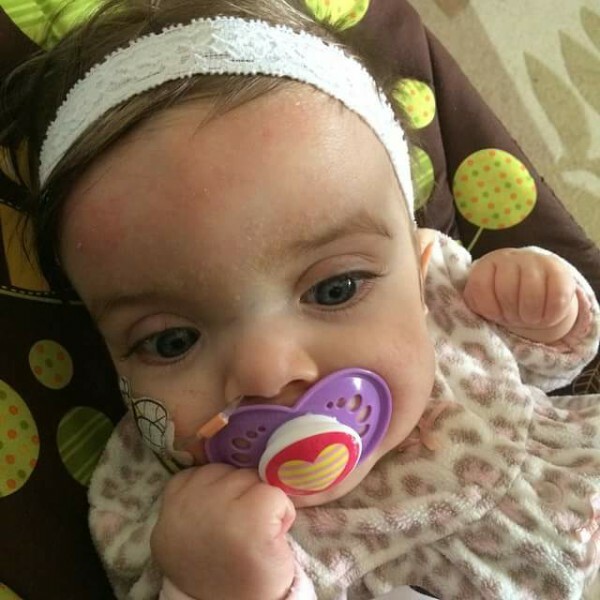 Please continue to pray for this sweet baby girl and her parents, Lesa and Brennan. They have had to make more special accommodations for their sweet Tori and continue to incur expenses for her care. Thank you so much to everyone who continues to support them through prayer and/or giving financially. Please continue to share this page, and let's continue to help them. God hears our prayers, and his mercies are new every morning. Tori will he turning 1 yr old this week, and Lesa and Brennan had a very special birthday party for her, and the love that was shown just by the amount of people that was there, was simply incredible. God bless each and every one of you who support this family in any way that you can. Please click on the link provided in this page to keep up with updates on Victoria. Thanks again, and God bless!! Please click on the link for updates on Tori! She did well with surgery and now has G tube for feeding and also had the nissen procedure. She doesn't have the NG tube which was the one inserted through her nose. This should help to eliminate the vomiting. We still continue to pray for a complete healing and restoration for her brain. God is good and we know that this is possible through him! Thank you for all the continued support for this precious baby and Lesa and Brennan.